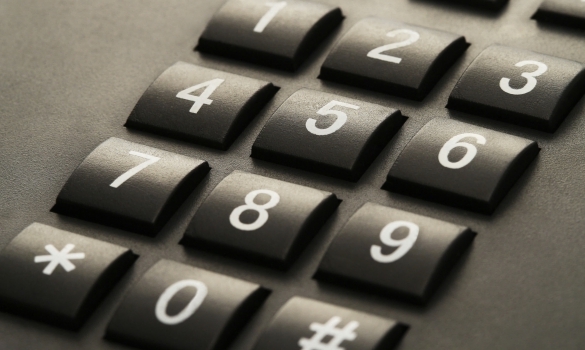 Is Your Business Phone Number As Memorable As It Needs To Be? Nowadays, it is more important than ever to make your business stand out against the sea of competition. Having a memorable business number can increase the effectiveness of your sales banners, ad campaigns or other marketing materials. Some companies use funny advertisements to catch the attention of their audiences, using nonsense and confusing imagery to draw their viewers in. However, if you want your company’s phone number to be memorable but to retain a sense of subtlety, here are some ideas to get you started. Why Is It So Important To Have A Memorable Number? It is said that over many customers still prefer having a phone conversation than using email or other communication devices, due to its ability to gain quick customer service support for their problems. This is why it is more important than ever to set up a smooth service that is memorable and allows for a constant stream of calls to be made without customers being backed up or the company’s number being forgotten altogether. If your number is not very memorable, and you are willing to invest some additional funds into gaining new numbers or changing your number altogether, why not look into companies like Planet Numbers to either change the main number to something more memorable, or even just to create some catchier numbers as additional phone lines to the company. These sorts of patterns make it easier for a number to remain memorable, especially if some are paired up with a catchy jingle on the TV. Be sure to always speak your new number out loud to see if you can remember it, or even ask your colleagues to say it out loud. Always ensure that you think outside of the box when using advertisements to show your new number. Take, for instance, one of the most successful examples of this branded advertising. You can make your phone number very prominent in TV commercials. If an advert gained popularity on television due to its number fitting extremely well within its catchy tune. Be sure to always keep in mind the power of word of mouth, as this can be a powerful advertising asset to your company. Remember that one of the main ways that customers may retain your business number is through touch patterns on a keyboard. Your customers will have your business cards tomorrow and can key in your number. Instead of simply doing a straight-lined pattern, why not put numbers in a box shape, such as using the numbers 1,3,9 and then 7? This is extremely effective when it comes to memory as once the first three numbers have been placed, the fourth will be right in front of the consumer and will be pressed as an automatic reaction. This also works well with spelling out numbers that relate to the business’s trade. For instance, if your company deals with breakdowns, you could have the number spell out the word 0800-FLAT- TYRE, that way your consumers will always be able to relate the word to the phone’s keyboard.